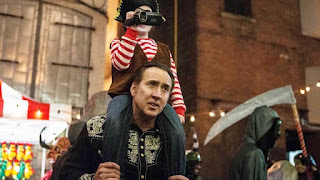 Nicholas Cage's run of movies lately has been rather lacking lately as he has now made a name for himself with direct to video movies. 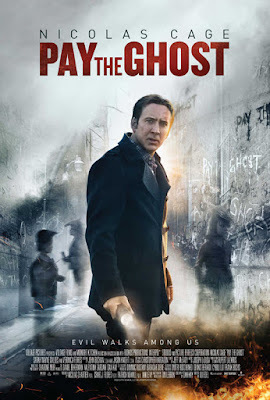 Pay the Ghost follows the same model but is above average than his recent flicks in his performance and the overall movie. The film is a supernatural thriller in which Cage plays a father that has lost his son during a Halloween festival one year with his only clue to his disappearance the term "Pay the Ghost." While not one of Nicholas Cage's best performance, it is leaps and bounds better than his performance in Left Behind and Rage. This is interesting in that this film shares some qualities with Left Behind in that he also played a father that lost his child. 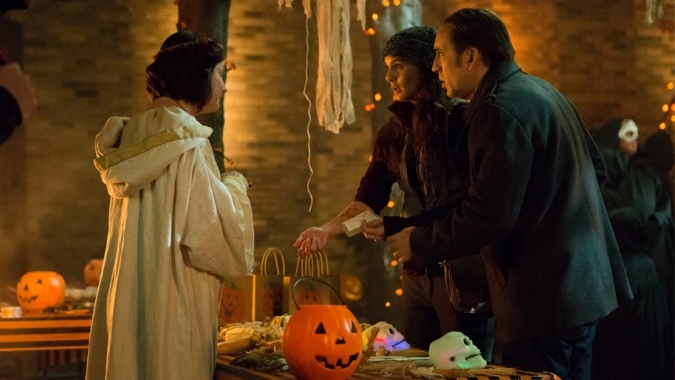 His performance in Pay the Ghost felt more genuine and less like just another paycheck performance. Sarah Wayne Callies who you may be familiar with as Lori Grimes in The Walking Dead plays Cage's wife Kristen. 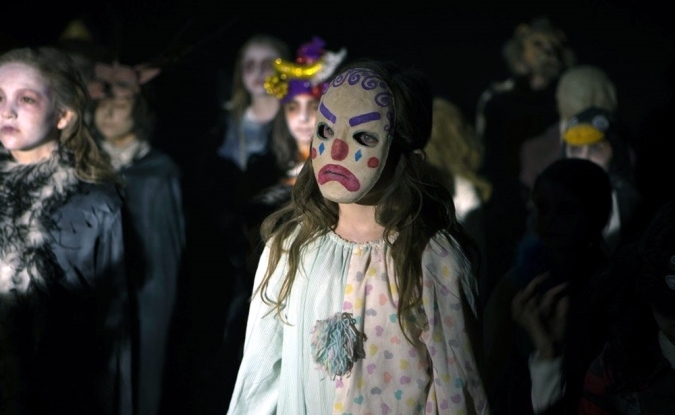 Her performance was also good as well but with a lack of character development, felt uneven at times. The biggest flaw with the movie is the unbalance story telling as you really don't get a sense of what is going on till the film is halfway through. And at that point everything is revealed to you as far as who, what, where and why within a matter of minutes. The movie as well has some incredibly powerful scenes that gives it a blockbuster type feel but then reverts back to cheap effects and secondary characters every so often killing any momentum. Overall, I would recommend watching the film at least once if you're a fan of Nicholas Cage. The film has some interesting elements, but overall execution is just not quite there. And for once at least for me, it's not because of Nicholas Cage! The actors actually does a good job with what they're given but even with their talent is hard press to make this horror/thriller stand out enough to warrant additional viewings.